Great question this week! I definitely hope to one day write my own Y.A. book and in many ways I think my blog is a great step in accomplishing that. 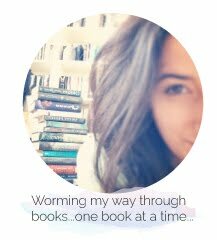 This blog has given me a platform to critique books in a way I never did before- it's really opened my eyes to the things I like and don't like in stories (which is something I will keep in mind when I *fingers crossed* hopefully write my own story someday!). What do you hope to accomplish with your blog?! Be sure to let me know in the comments, or leave me a link to you #FF below ! Happy Friday! My answer is totally similar to yours. I would love to write a YA book at some point, but haven't gotten to a point in my life where I can sit down and brainstorm. Until that happens, my blog is my creative outlet! As an author I can tell you book blogs are GREAT platforms, so great answer!